My legs have been feeling good (knock on wood or whatever else I can knock on for continued good luck), but I couldn't shake the feeling that I'm still not in decent enough shape to run with other people. Then I was like screw that, I really, really miss running with other people. Plus, last Thursday night it was raining and I just felt like getting muddy. 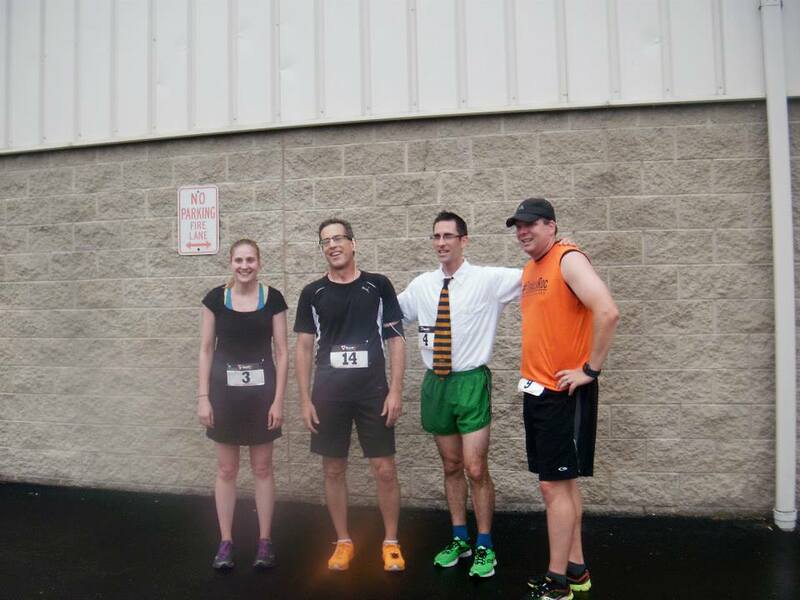 So I went to the Medved trail run to splash through puddles and jump over logs and play in the rain. Good times. ﻿﻿﻿﻿﻿﻿I am not a trail runner. I don't have the grace or confidence or attention span for it. I always think I'm going to be the one who face plants or sprains something or falls in a ravine. (To date, I have fallen in zero ravines, but it's good to have goals.) I think maybe I'm too cautious sometimes, too hesitant, afraid of taking the wrong step and getting hurt. But there are moments on the downhills where I can feel myself letting go, my legs taking off as if they had a mind of their own. And it's the best. ﻿﻿And yes, I would love to be fast and get better and stronger. But mostly I just want to have fun and keep running for as long as I can. I want to run all over the place with awesome people and dress up and climb on things and take ridiculous pictures. 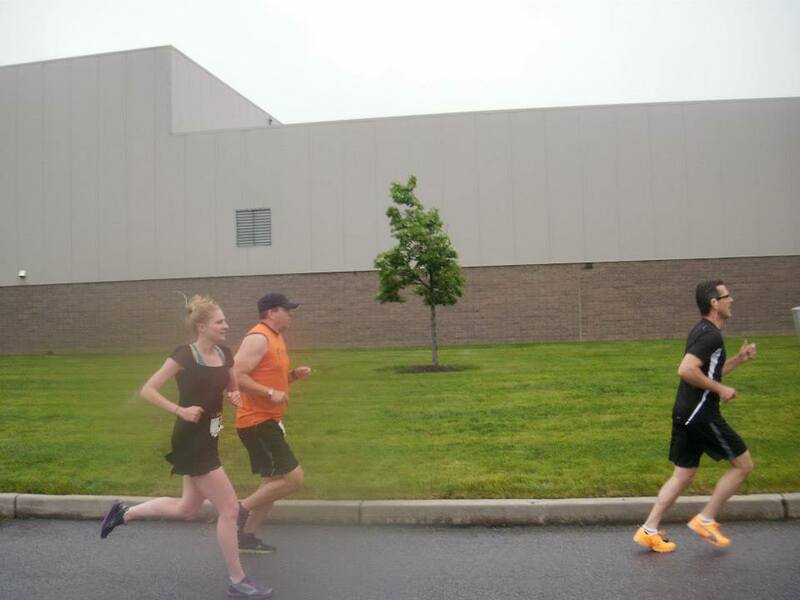 I hadn't raced in over a year, but Saturday was the Fashion Week 5K to benefit the Center For Youth. And I really wanted to wear this dress I thrifted a while back but hadn't yet worn because the slit in the back makes it indecently short (and that kind of view is invitation only). But with running shorts and a sports bra underneath I'd be good to go. I'm of the mindset buy the dress and the occasion will arise. And so it did. I put on my lace dress, laced up my running shoes and tried to keep up with the fast guys. The course itself was boring, basically 3 laps in a parking lot. But it was flat and I was really there for the outfits and bagels anyway. I ended up in 4th place overall (technically 3rd but only because Eric waited for me and let me have it) with a time of 22:25. It felt good. I mean I was definitely working hard but I wasn't in any pain. I'd like to see what I could do with a little training. I'm hoping to get in some speed work, trails and distance runs this summer and see what happens. The weekend's other adventures included watching Now You See Me (at the AMC Theater in Webster where the seats are recliners! ), Hibachi, taking Polaroids, chillin' on my new front porch listening to records (randomly, an orange cat and a black cat came over and were hanging out on my porch. I don't care about cats, but if any dogs come over I'm calling finders keepers), watching the Red Wings game from a suite (Thanks to some guy my dad knows from work. I would totally watch more sports if I could do so while eating Dippin Dots in a suite. Also, I learned that there is such a thing called a beer bong. I was like "Why is that beer in a tube?" and Dad told me "It's called a beer bong. "), and playing euchre. It's like all of my loves in one weekend. Sooooo good! Lyric of the moment: "And our dreams will break the boundaries of our fear..."
You forgot to mention that you were 1st place female!!!!!!! Speed demon!!!! Glad you're back running!